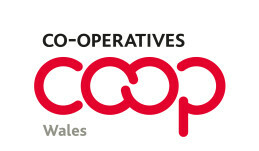 The Welsh Assembly Cross-Party Group on Co-operatives and Mutuals is registered with the Table Office of the Assembly as an official Cross-Party Group for the Fourth Term of the Welsh Government (2012 – 2016), and was first registered during the Third Term (in August 2009). Alex Bird initiated the Group, and held the Secretariat for the first six years until August 2015, working closely with the first three Chairs, David Melding AM, Vaughan Gething AM and Mick Antoniw AM. Secretariat for the Group has now changed. Ceri-Anne Fidler at the Wales Co-operative Centre took over this role from September 2015, and the new Chair is Jeremy Miles AM.